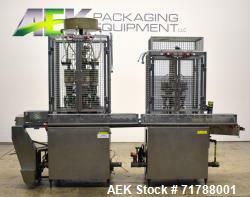 Aaron Kendell Packaging Equipment (AEK) has a large inventory of reconditioned, unused, and used aerosol gassers. If you are looking to sell your used aerosol gasser submit a request online or contact KC Christensen at 630-238-2660. Used- Pamasol Type 2018-002 4 Head Valve Crimper Coupled to Pamasol type P 2002 4 Head Thru Valve Gasser. 500-700 containers per hour. Height of containers 30mm-330mm; Diameter of container 22mm-66mm. 3" diameter cans, 8" pitch. Crimper sn 1808-8695, Gasser sn 68-M10588. Does not include controls. 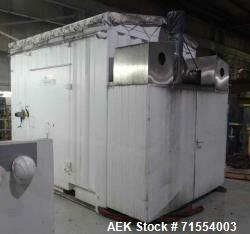 Used- Aerofil Gashouse or Transportable Hydrocarbon Filling Room. Has an Aerofil three head TTV gasser with 200ml fill capacity. Includes Fenwal suppression system. Features: Prefabricated strong steel structure, dual independent ventilation system, five channel gas detection, and fully automatic sequential control logic. Dimensions: External 13.77' length x 9.8' wide x 13.1'H. Internal: 8.6'L x 4.5' wide x 8.4'High. 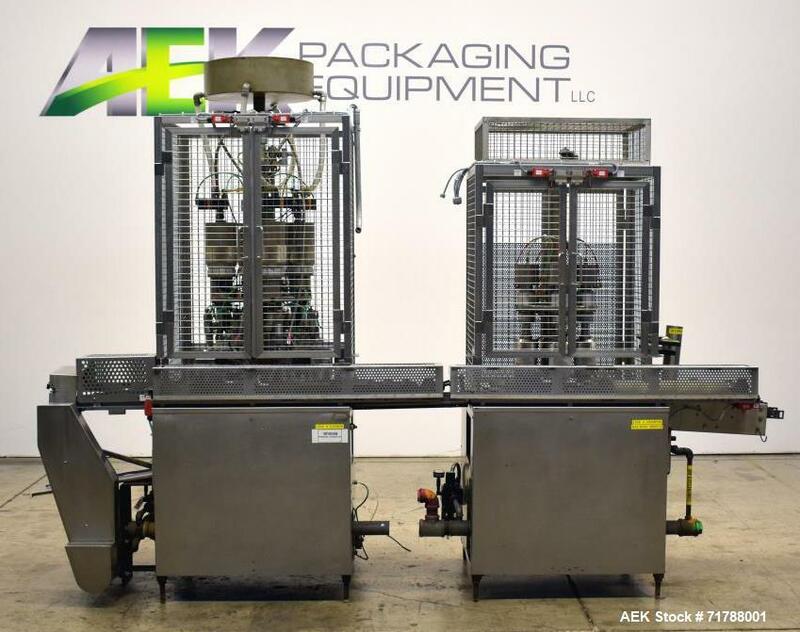 Last used in cosmetics foam operation. Propellants used: Iso-Butane 4,2 bar. Driosol 42A, Dymel 152a, Dimethylether (DME) and N-Butan 1,2 bar/Drivosol 12/ Aaron N Butan.